Real Estate Trends to Watch for in Fall of 2017 - ZINC Financial, Inc. | ZINC Financial, Inc. | Your leading source for investor rehab money. It’s nothing but good news for house flippers this fall. All of the real estate Fall 2017 trends follow what we’ve seen over the last few years – low inventories, rising home prices, increased buyer confidence, and rising rents. Whether you’re looking for your next buy and hold property or looking to break into the house flipping industry for the first time, your timing is excellent. ATTOM Data Solutions reports that homeowners who sold their homes in the second quarter of 2017 enjoyed an average price gain of $51,000 and an average return of 26%. That was the highest average price gain since 2007, when those numbers were $57,000 and 27%. In a separate report, ATTOM Data Solutions found that the total number of new foreclosures in the US during the first six months of 2017 was 428,400. That marks a 20% decrease from the same period one year prior. Despite these drops, house flipping remains incredibly strong as more flippers turn to private funding, larger flips, and more stable business models that don’t rely on predatory practices. com crunched the numbers (again, from ATTOM Data Solutions), and found that in 2017, house flippers are making gross returns of 48.6%. They estimate that 20% to 30% of those returns go toward covering expenses. 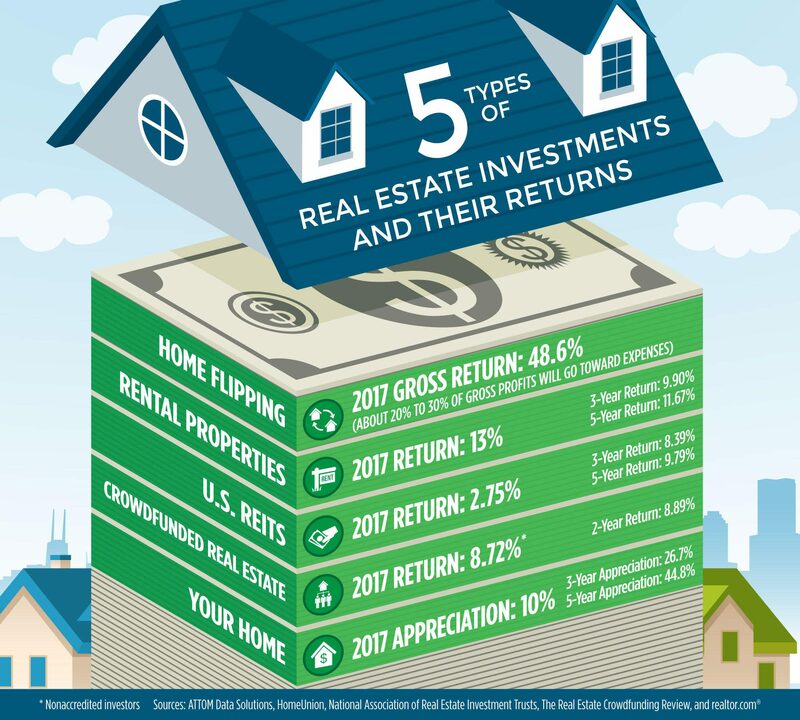 Owners of rental properties are making 13% ROI, on average, this year. And your own home is likely to have appreciated 10% this year, with a 5-year appreciation of 44.8%, on average. com also reported that the for-sale housing inventory across the nation dropped 1% between August and September and is down 9% from September 2016, which is pushing home prices up. The median time on the market for properties listed on realtor.com was 69 days in September, which is eight days less than the same time last year. Put all of this house flipping news together, and it means we are looking at a seller’s market that is expected to continue for the next several months. Typically, home buying tends to slow down in late fall and winter, but those anticipated dips are unlikely to have a major impact on these overarching trends.